A career as an architect is ideal for those interested in designing & constructing residential accommodations, buildings for corporate houses, shops & showrooms, vacation homes, restaurants & hotels, pubs, malls...in short, a wide spectrum of structures. Architecture, in particular is the study which deals with planning and designing of buildings and structures. The subject, not new at all, has been practiced since ages in different parts of the world. Who hasn’t heard of Roman, Victorian, and Indian architecture, examples of which continue to stand today. It is the because of the creative ideas of some that we have buildings such as the Burj-al-Arab in Dubai, Taiwan 101 in Taipei, Red Pepper House in Kenya, Bahai temple in Delhi and numerous other architectural marvels. Architects blend their vision and dreams with materials to erect milestones which leave a powerful imprint on mankind. The rapidly changing demands and requirements of today ask for professionally trained architects who can not only cope with changing times but also design and deliver quality, environment friendly constructions that can be implemented practically. Aesthetic designs, unique building materials and landscaped environments ensure that architecture is one profession that keeps evolving. An architect's job is to design and plan for the construction of any type of building or complex from an individual residence to group housing, hospitals, hotels, commercial plazas, factories, as also gardens and leisure areas, within the framework of existing laws and regulations. 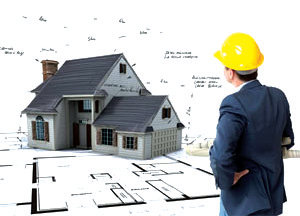 Architects may be involved in all phases of development, from the initial discussion to construction. Their duties demand a variety of skills e.g. design, engineering, managerial and supervisory. The architect directs, co-relates and integrates activities, not only in the areas of design and execution, but also in others, like survey, soil testing, engineering, safety, demonstration and supervision. Professionals therefore, need to have a sufficient grasp of all aspects of building technology to be able to design for various needs under different conditions and to direct and co-ordinate the participation of all the specialists involved in the building process. The CBSE (Central Board of Secondary Education) conducts a national level entrance examination on an All India basis for entry to undergraduate programmes in B. Architecture and B. Planning in government and private institutes. The paper consists of Mathematics, an Aptitude Test and a Drawing test. The National Aptitude test in Architecture (NATA), the online test with drawing exam is conducted by the National Institute of Advanced Studies and Architecture in association with the Council of Architecture (COA). NATA measures aesthetic sensitivity, critical thinking, perception, observation and architectural awareness. NATA scores are used by admissions authorities of different unaided & Government aided schools / colleges of Architecture, to provide common measures for comparing the qualifications of applicants. IITs: A score with in the top 1.5 Lakhs in JEE (main) + JEE (Advanced) + Aptitude test for Architecture (60 percent weightage for entrance and 40 percent on XII th marks). Aptitude test for architecture (AAT) can only be taken by students who have qualified JEE Advance. The B Arch programme is a regular five-year course which offers students the opportunity to explore the numerous facets of architecture and its scope in society. Students can also specialise in the different areas of architecture design and planning. Most specialisations are taken up at the post-graduation level and include landscape design, urban design and planning, ecological management, environmental design, urban conservation, heritage management, among many others. Apart from the degree course in B.Arch, the Diploma in architecture is also available in some institutes as either full time or part time courses. The part-time diploma course in architecture can take seven years to complete. Subject content of B.Arch course includes architectural design (drawing and painting), acoustics, surveying and leveling, estimating and costing, methods of construction, materials management, history of architecture, draftsmanship, environmental planning, applied mechanics, structural designing, computer applications etc. Computers are an important part of the training in architecture. Architects have the option of working with construction companies, builders, independently, consultancies, and many other options as well. Besides the government organisations, various other institutes and agencies like State Departments, Housing Boards, Local Bodies responsible for construction works also recruit architects. Openings in the private sector exist with the Builders, Architecture Firms, Consultants etc. Architects with some experience can even set up their own practice or function as Consultants and Contractors. While the economic boom has given the construction industry an unseen push, it has also brought about awareness of the need for a greener planet. Moreover, the Governments thrust towards building of Smart Cities and the demand among a growing middle class for affordable housing is providing the impetus for growth and generating jobs for hundreds of engineers, architects, landscape designers, construction specialists and artisans. This has brought the career of architecture into the limelight, and created opportunities for those with creative talent and a desire to put that to the test.